The latest offering by Mira Nair features various artists and the album has as many as 14 tracks. The album starts with Kangna, a traditional qawaali performed wonderfully by Fareed Ayaz and Abu Muhammad. The accentuated bass towards the end remind us that this is for a Film and not performed for anything else. Although the duo have sung this song for Coke Studio Pakistan as well where the duration was in excess of 10 mins, this one ends in less than 6 minutes, melodious nonetheless. Bijli aaye ya na aaye features the otherwise serious Meesha Shafi. Severely let down on the lyrics the song survives because of the lovely throw that Meesha demonstrates. Peppy. The lyrics are so bad that they actually redefine the word ‘random’. However, this for sure will be closely walking with the narrative, of which I am sure. Kaindey ney sung by Zahara Khan is up next. Performed with just a guitar and Sarod by the side for most part, Zahara appears slightly out of sync at times in this average song. Ali Sethi hums Dil jalaney ki baat kartey ho extremely well and leaves you wanting for more because the track is barely 2 mins long. Atif Aslam croons Mori araj suno and even though he tries very hard, thanks to the varied versions of this ageless composition that we have come across, this track falls short. But it does sound very theatrical. Measure of me by Amy Ray is the best song of the album. Slow, melancholic and very high on melody. The arrangement is so simple that you might even ignore it. The backup vocal arrangement is brilliant as well. A young man has to take a stand performed by Michael Andrews is a track filled with a lot of tension thanks to the eerie arrangement and loads of violins used. Ends quickly echoing the tension in the head. Jannissary again performed by Michael is a slow piano piece with continuous violins. Somehow reminded me of 1947 The earth, this piece. Nicely done. Something happened – Bass and a lot of bass instills anticipation in what appears to be an anxious track. A track that is very rich on sounds. Faintly heard someone sharpening knife, someone running through a door and then it all descends to a pause. One of the best instrumental pieces in a long time. Highly recommended. God bless America A very short track comprising of crowds cheering and a continuous beat that eventually fades out far too quickly. Love in Urdu by Rizzle kicks is a delicately arranged all instrumental piece peppered with subtle Sarod and guitar. Not as beautiful as love in Urdu would be but a soothing and simple track. Focus on fundamentals paints a picture of tension, yet again. Aided in just right measure with violins and a dying bass line throughout. Eerie. Tensed. Dark. Get us both killed has got a very dark tone throughout. The riffs remind you of a particular O.S.T. Which shall not be named here. the tempo steadily rises but never peaks and that’s quite eerie. Too much blood has poured into this river With near absent vocals, this track keeps the dark undertone of the album alive. Aided by flute, the overall grave atmosphere gets a touch of sadness. The almost silent alaap is a touch of class in this track. With Mira Nair, we are sure that the music will be totally circumstantial and compliment the feel of the film. 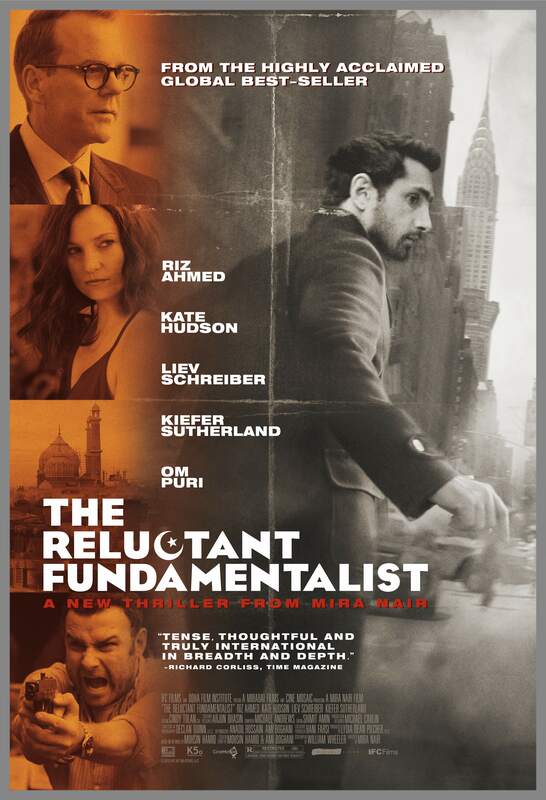 The Reluctant Fundamentalist is no different. Will I hear it as much as the O.S.T. Of ‘The Namesake’? Well, No. The reason is simple. This O.S.T. stays so closely hugged to the film’s feel that you slip into sadness with some of the tracks of this film. 2 Thumbs up! If you are an O.S.T. Collector, do not miss this at any cost! Where is my credit as discussed Rohit? Bijli aaye na is actually a good number from Meesha’s early band overload.. check them out they are unique wont find a similar dhol rock sound. Where’s the Peter Gabriel track ‘Bol’? I’ve also been trying to find Peter Gabriel’s Bol, which plays at the end credits. It seems not to be included in the CD. I don’t know why a song especially recorded for the film would be left out.